Wow! The world consumes over 2.25 billion cups of coffee a year. With that amount of anything one small change can make a difference. Having a recyclable coffee cup could make a strong impact on your office sustainability efforts. By selecting environmentally friendly coffee cups you encourage staff to think about sustainability. Implementing sustainability efforts by using biodegradable or compostable products in your breakroom may be an option. First, what are compostable products? Compostable products are made from materials such as corn, soybean, bamboo, sugarcane and grass. If you use compostable items in your office breakroom you are making a difference. Secondly, what are biodegradable products? They are produced with natural items and when disposed into the right environment breakdown safely. Compostable or biodegradable items like coffee cups, eating utensils, napkins, paper towels and more return to the earth safely. One small change in the items your office uses on a daily basis can help your office make a positive impact on our environment. 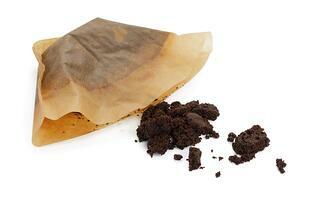 Did you know coffee filters are compostable? Along with the coffee grounds inside of them. If you have a coffee machine that uses filters, instead of tossing the used coffee filter, compost it. It has nitrogen which provides bacteria to help a compost system work. Whether your coffee cup is biodegradable or not, it won’t change great tasting coffee. 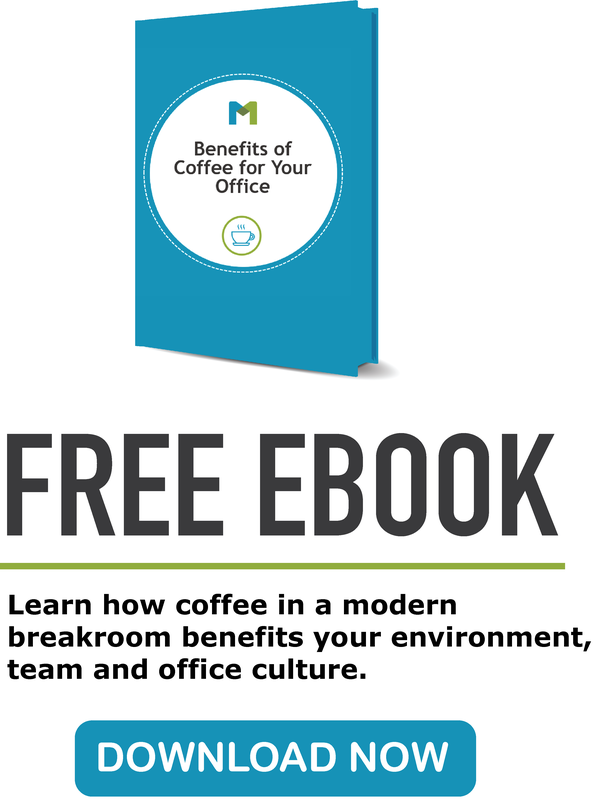 Let coffee energize your team and add an extra benefit by using cups to help your office be sustainable. Instead of tossing the k-cup immediately take a moment to break the k-cup down properly. There are three easy steps to prepare the k-cup and it won’t break your time clock. 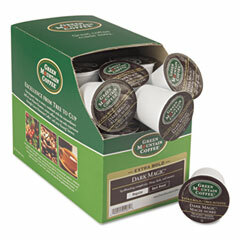 Or learn more about Keurig's Grounds to Grow on program that collects k-cups from workplaces and recycles them. Adults consume on average three cups of coffee a day. Normally before breakfast and between meals. Since it is a good chance coffee is consumed during work hours, you can selectively use the right cups at your office to practice sustainability. If you’d like to improve your sustainability efforts or coffee selection in your office we can help you make a difference. Our facility solutions expert is available to assist with starting a green initiative at your workplace. 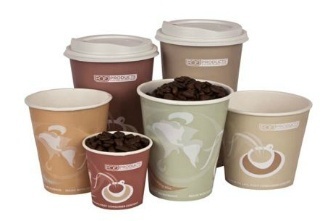 Currently, ECO Products is known to create sustainable coffee cups and utensils. Check out a special rebate offer to get a $10 gift card for purchasing select items every breakroom could use.